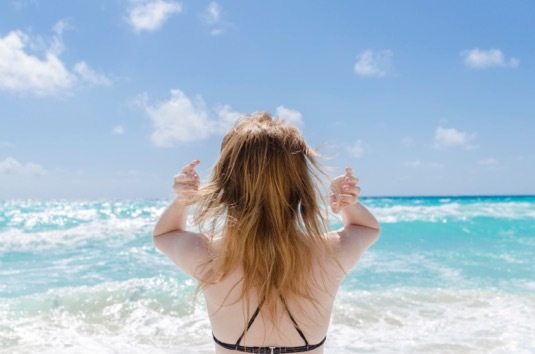 Hair restoration expert, Dr. Baiju Gohil, of Robotic Hair Restoration Long of Island (RHRLI), provides the perfect solutions to the most common summer hair problems. Human hair is extremely sensitive to humidity. Straight hair becomes wavy and curly hair turns frizzy or even curlier. Humidity causes hair to absorb water differently and unevenly, making it difficult to style. Extra conditioning will help slow down the absorption of excess water. Trimming dried out spilt ends will help minimize frizzing of your hair on humid days. Use a silicone based sealer and limit exposure to the sun's rays, which can cause drying and damage to your hair.